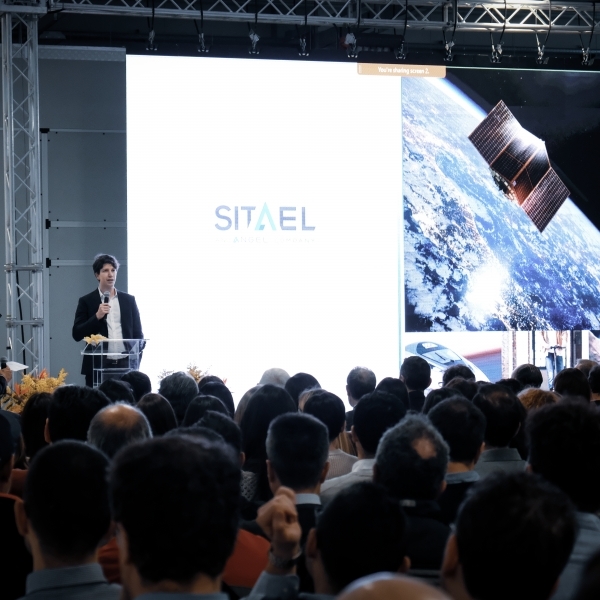 The presence of the Undersecretary of State at the Presidency of the Council of Ministers, Giancarlo Giorgetti, was the right occasion for the Angel Italian Employees Meeting 2019 to welcome the newly appointed SITAEL’s executive board and to present the Group’s achievements and future projects in all the different markets served by its member companies. 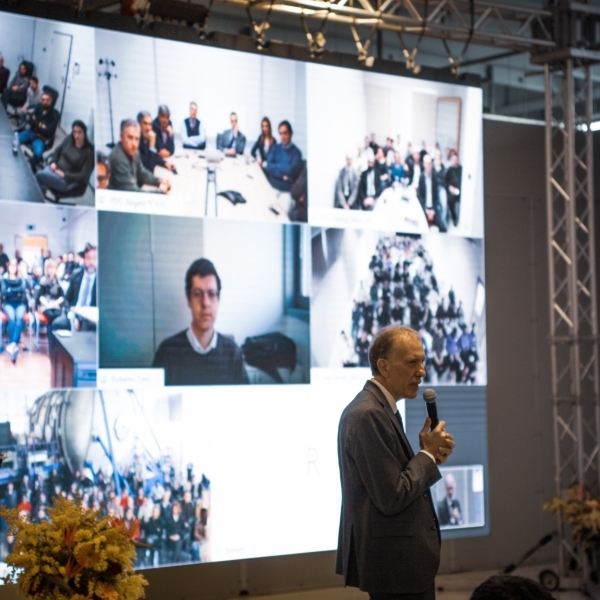 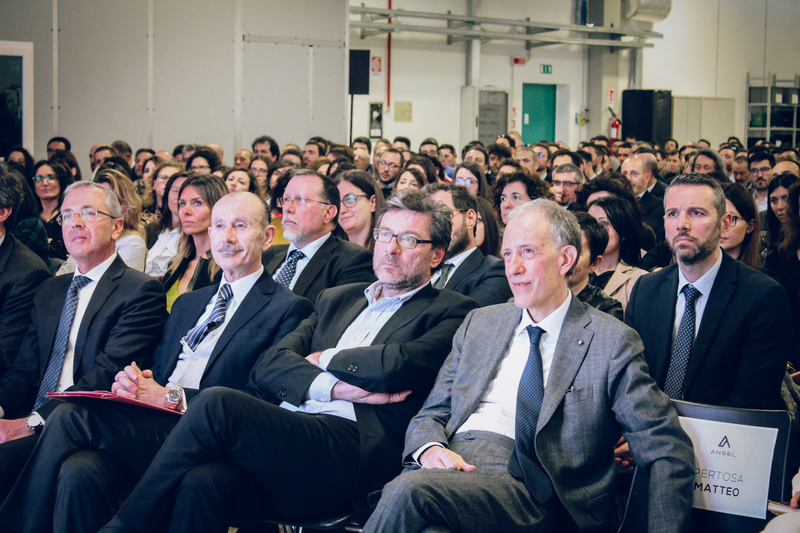 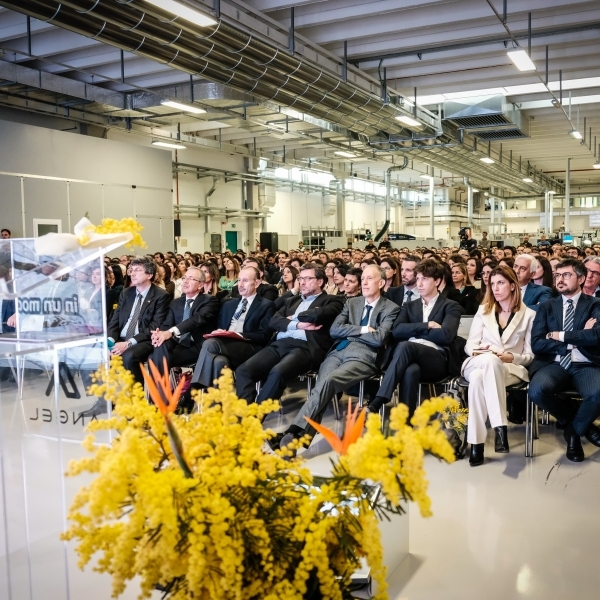 March 2019 – Mola di Bari – “Angel Italian Employees Meeting 2019” took place last March 8 at Sitael headquarters in Mola di Bari and was attended by all the Italian employees of the Group, some of which were remotely connected via video-conferencing from the offices in Milan, Treviso, Bologna, Forlì, Pisa, and Rome. 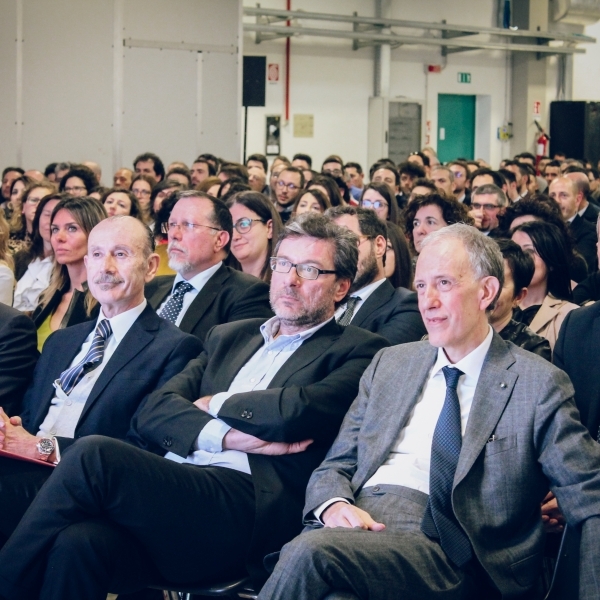 The meeting was a “formative and informative” occasion for knowledge sharing and networking at the presence of the Undersecretary of State at the Presidency of the Council of Ministers, Giancarlo Giorgetti, who praised the excellence reached in cutting-edge technologies development and commended employees on their ingenuity, passion and dedication. 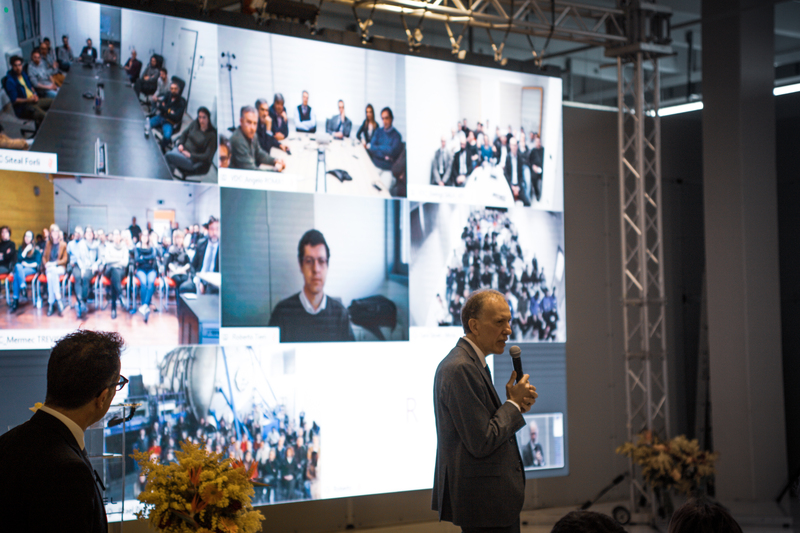 “Here I have seen in practice what strong corporate values and positive attitude to change and continuous innovation are all about. 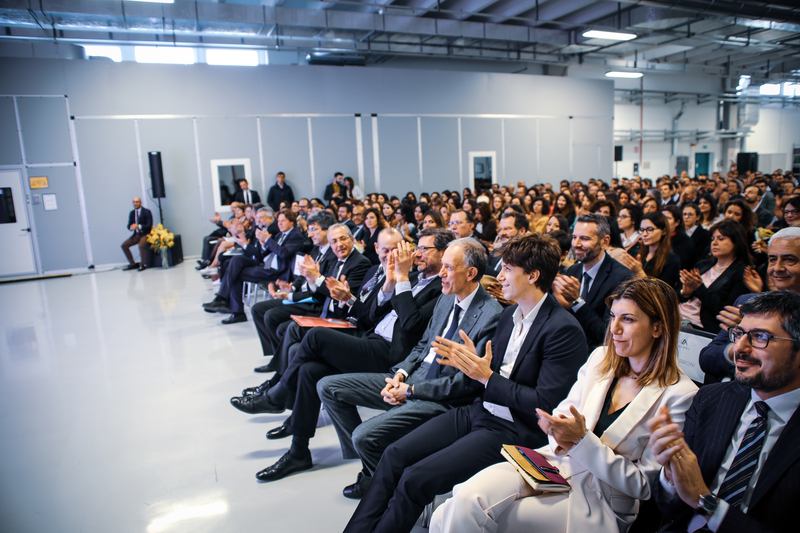 – says Giancarlo Giorgetti – These competitive advantages, combined with the visionary capabilities of a forward-looking entrepreneur, are the key ingredients to pave the way forward in all the future challenges the company will face”. 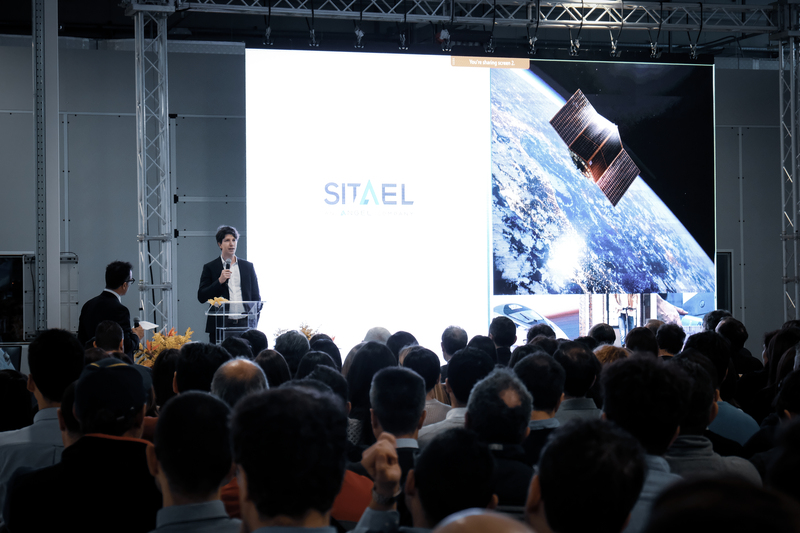 The Undersecretary Giorgetti, who has also been delegated powers for Space and Aerospace national policies, confirmed the strategic role that Italy can play in the Space Industry and confirmed his commitment to create new opportunities to empower the State-System in this sector. 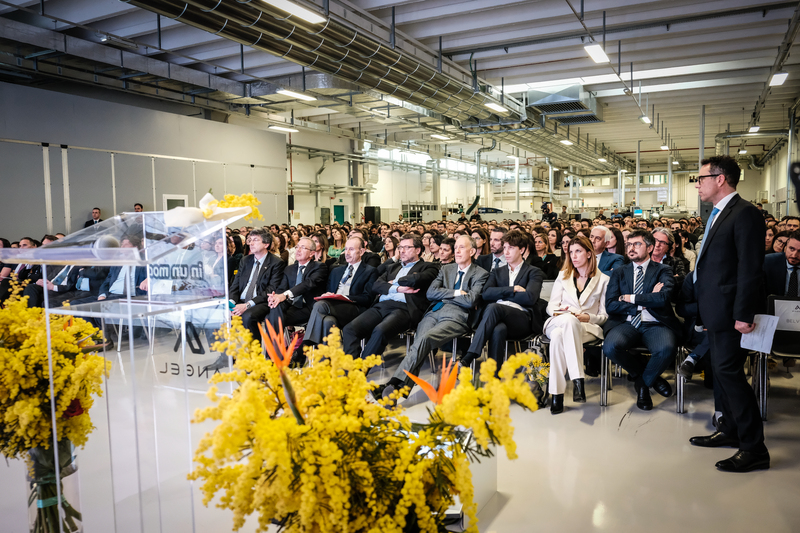 Angel is the Italian high-tech holding who leads a group of pioneering companies, which are global leaders and technology innovators in delivering end-to-end solutions to railway, space, aviation, motorsport and “internet of things” sectors. 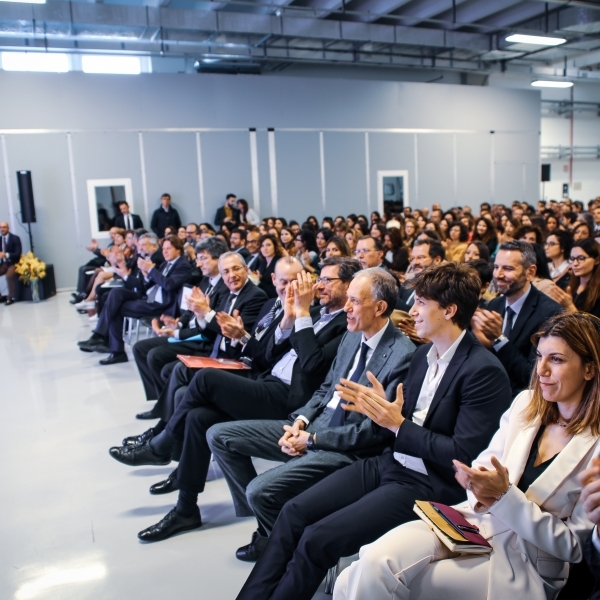 Founded in 2008 by the Italian entrepreneur, Vito Pertosa, Angel generates innovation, quality and expertise to develop innovative products and services with the highest value-added for customers. 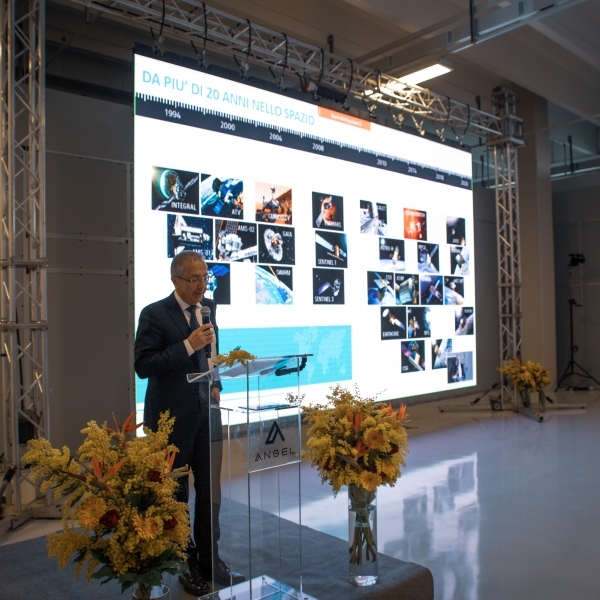 With industrial and technical sites across 18 countries, advanced proprietary technologies and more than 1,000 highly skilled professionals – 650 of whom are engineers – Angel invests about 12% of annual sales in innovation and is equipped with best-in-class R&D capabilities to serve its target markets. 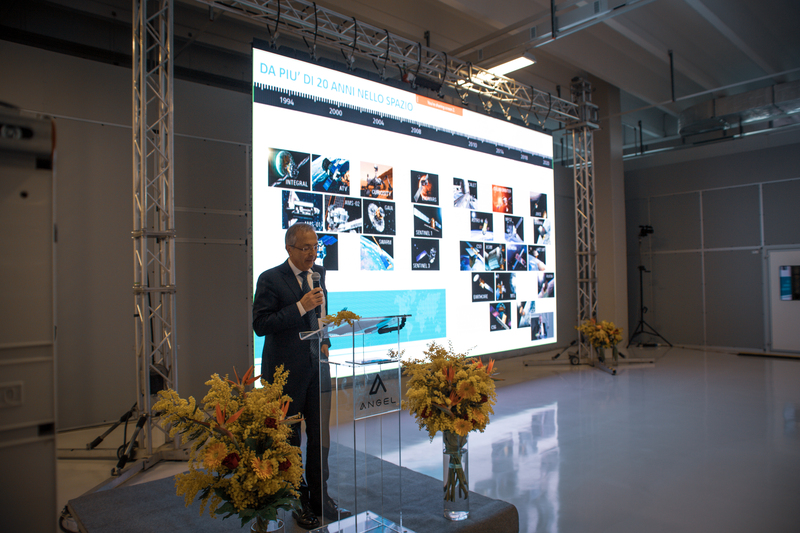 Angel’s member companies have now advanced products and services in use in 54 countries worldwide. 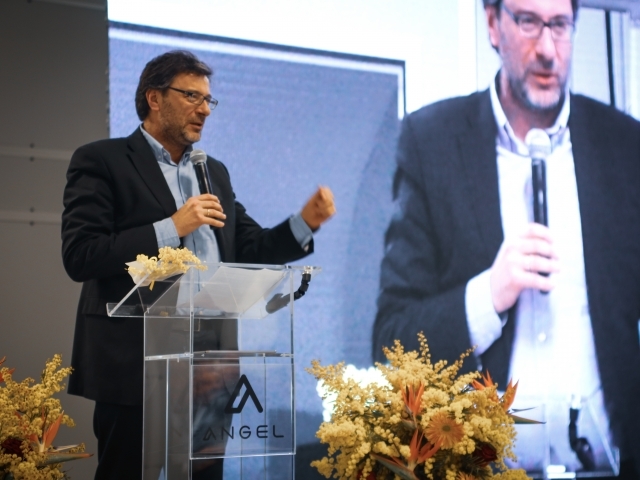 Angel, which is continuously looking for long-term investments opportunities in high-tech sectors, announced on November 2016, its investment in the Canadian company TransPod Inc. that is building the world leading Hyperloop system to disrupt and redefine commercial transportation. 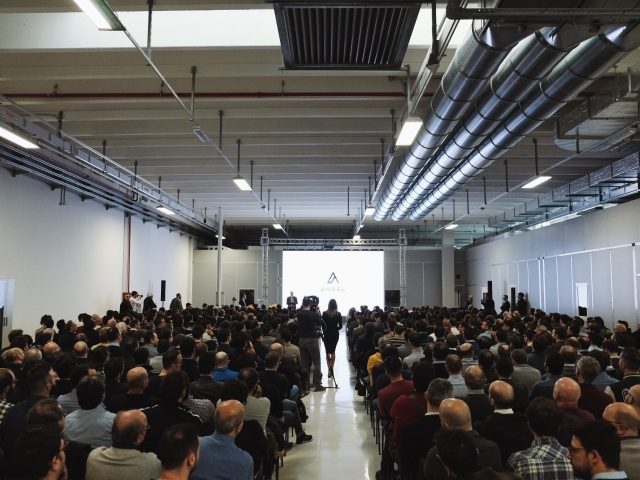 Angel’s member companies will provide TransPod with complementary unique competencies and technical capabilities collaborating with TransPod in the testing and development of new products and technologies for Hyperloop.